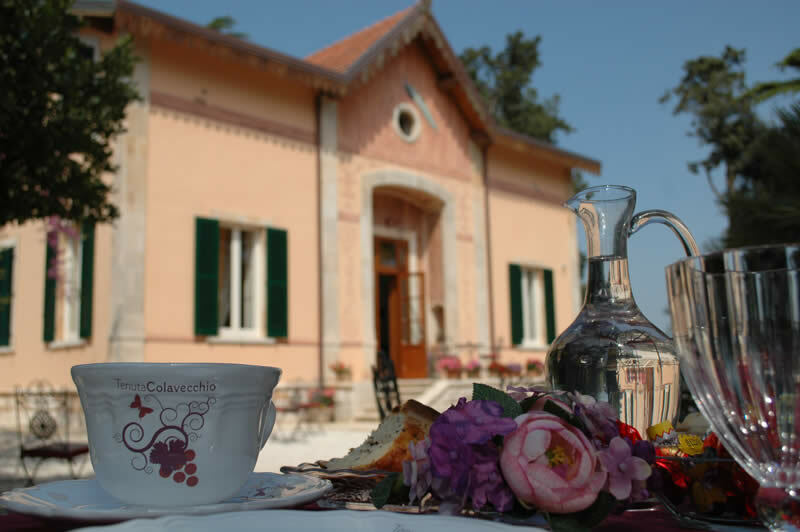 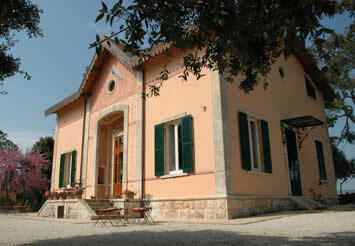 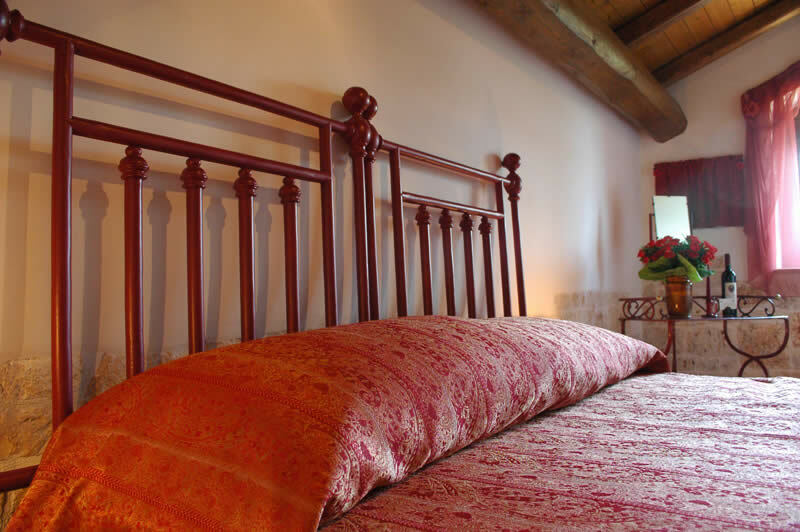 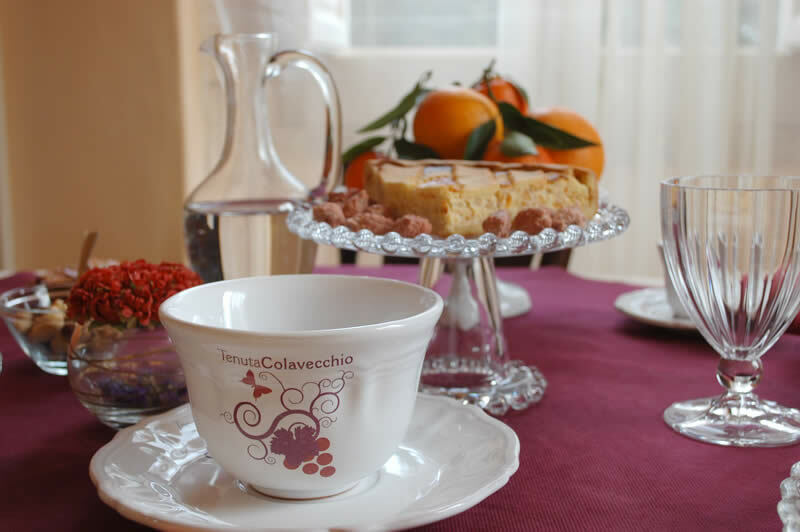 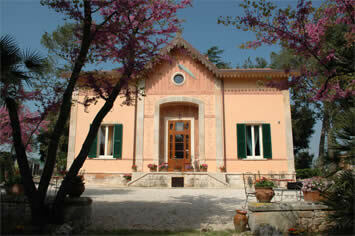 Tenuta Colavecchio is a B&B surrounded by orchards and vineyards and it also includes a farm and a cellar in the estate. 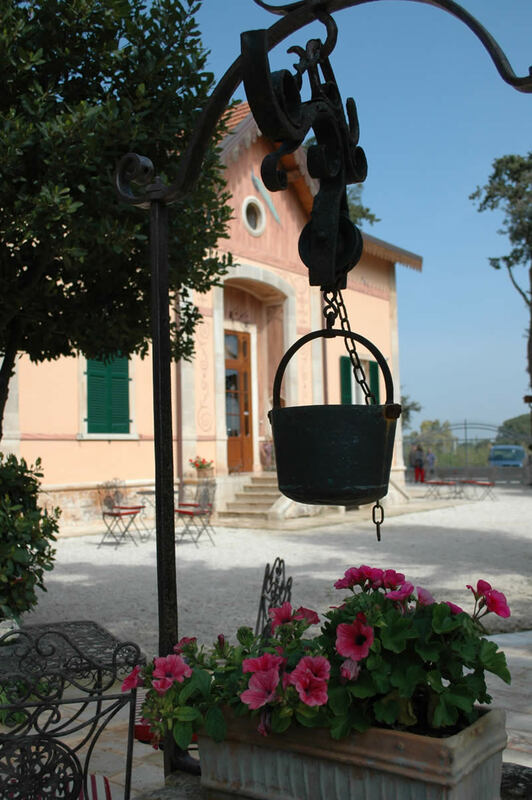 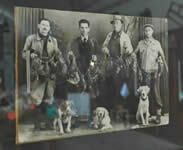 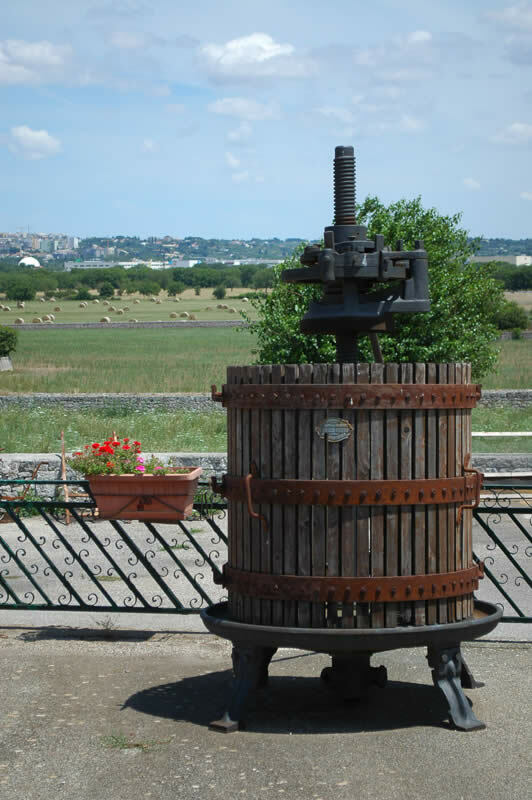 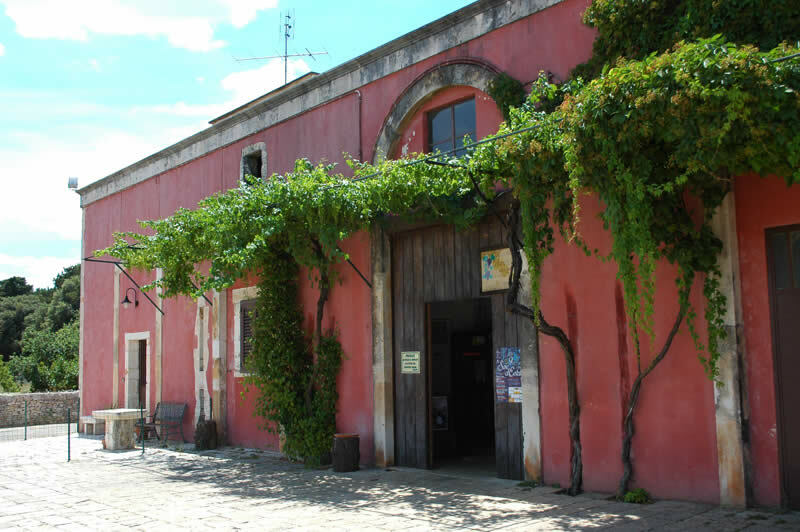 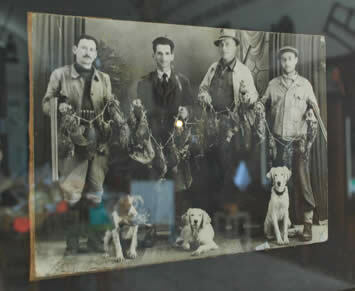 The farm was established at the end of 1700 with the planting of vineyards and it was expanded over the following century, when the production of fine wine also started. 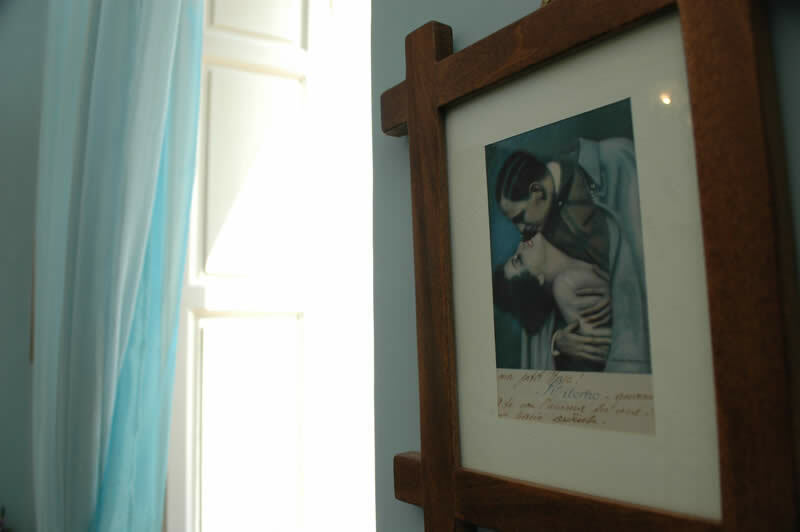 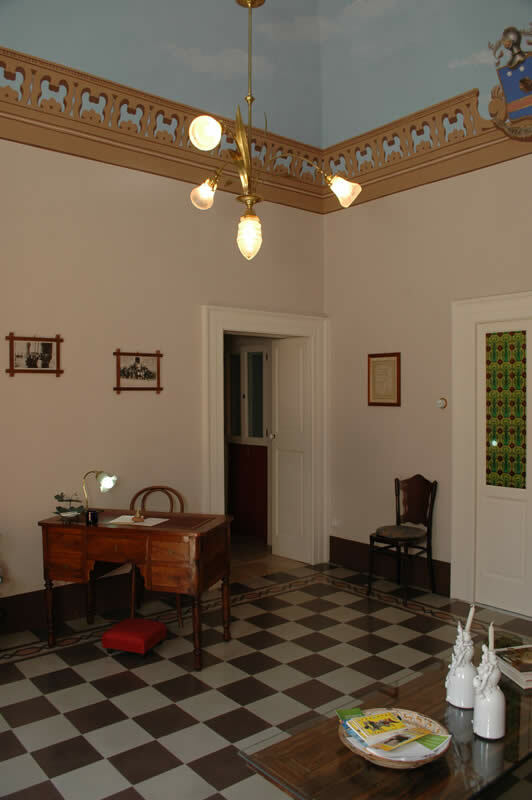 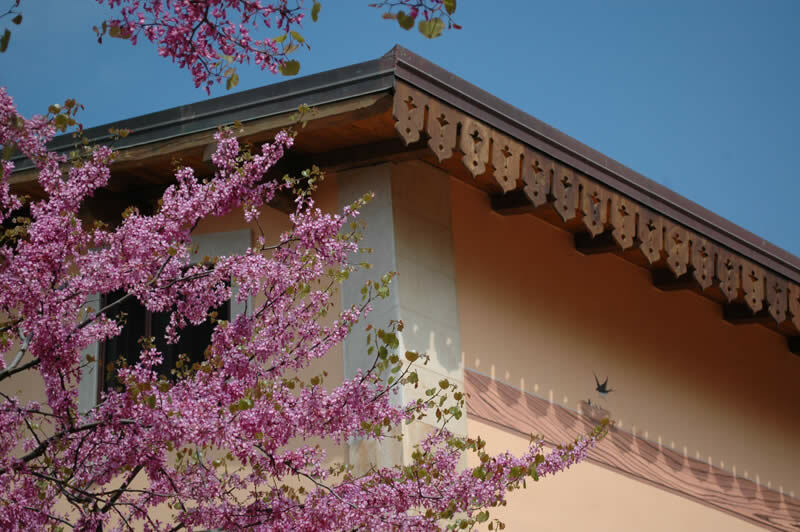 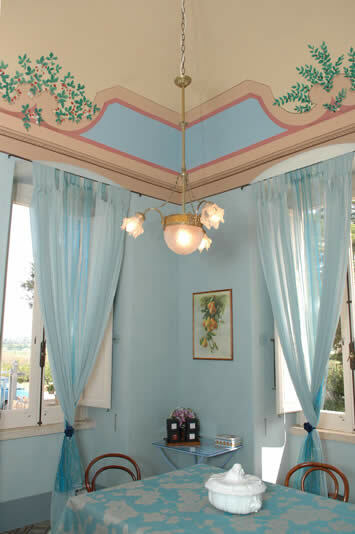 The villa was built in 1895 to closely monitor the activities and, after its recent renovation, you can now see the original frescoed ceilings and interior paintings. 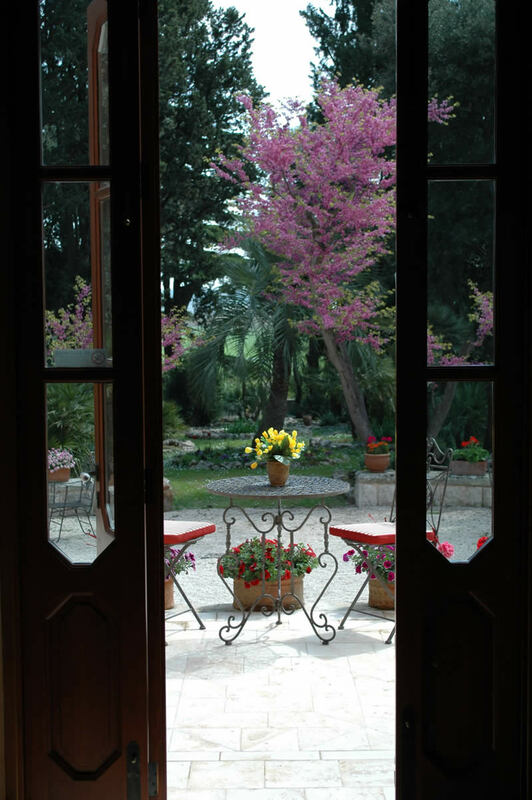 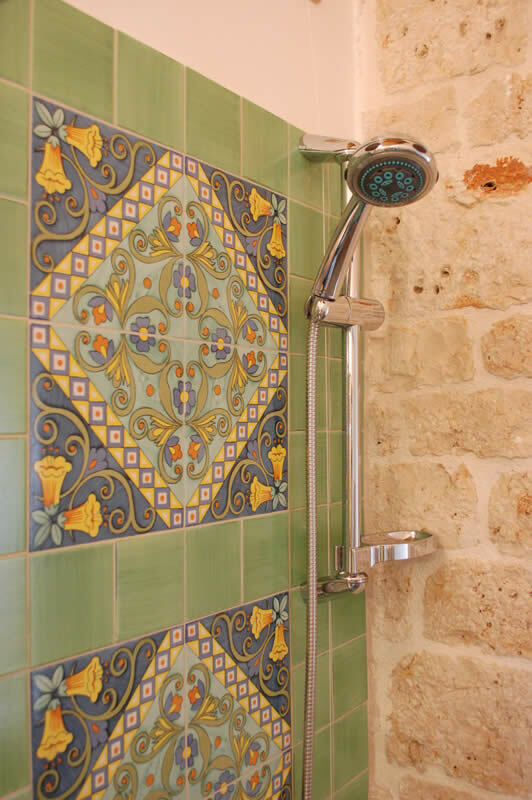 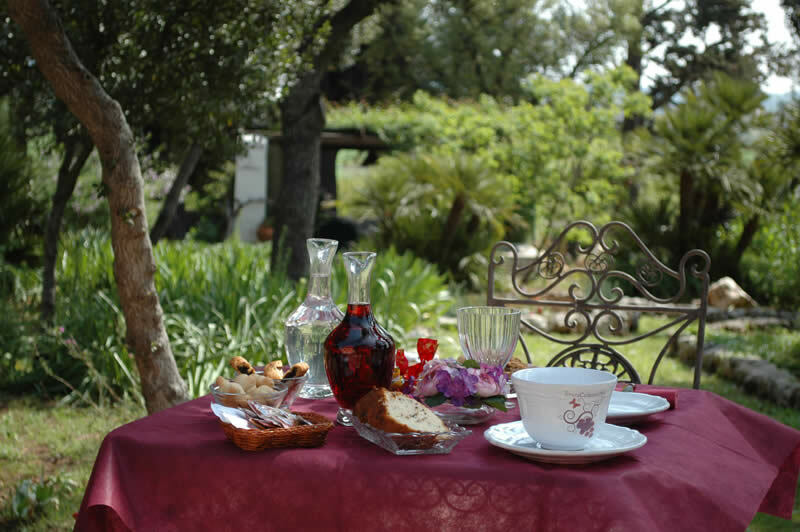 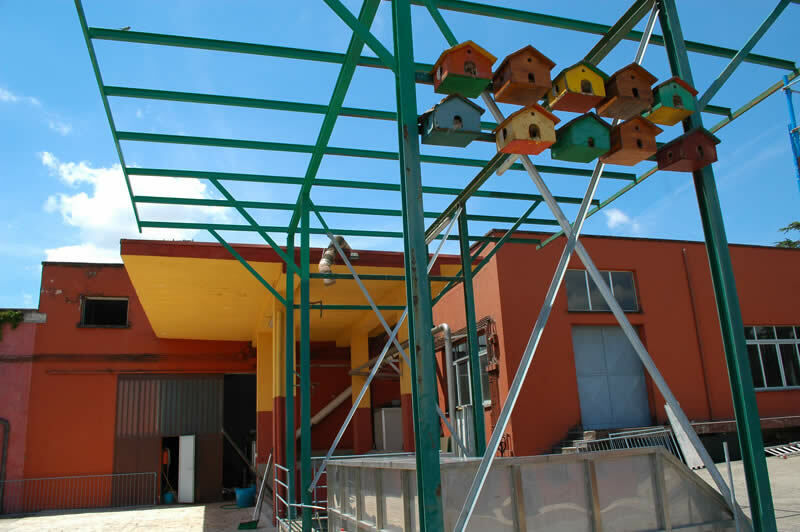 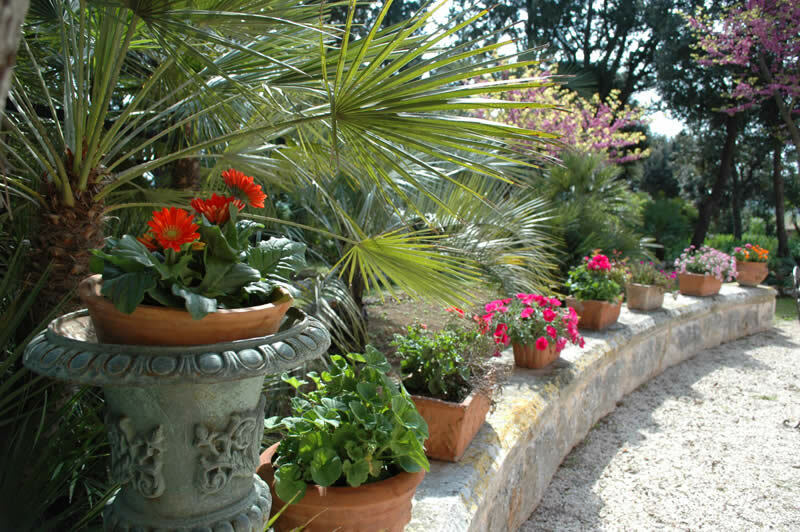 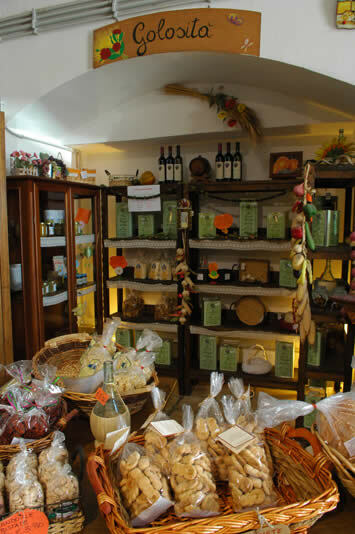 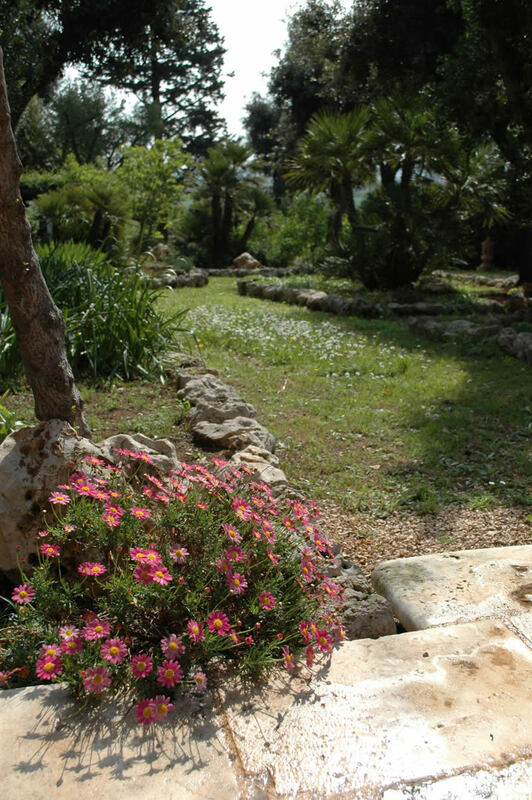 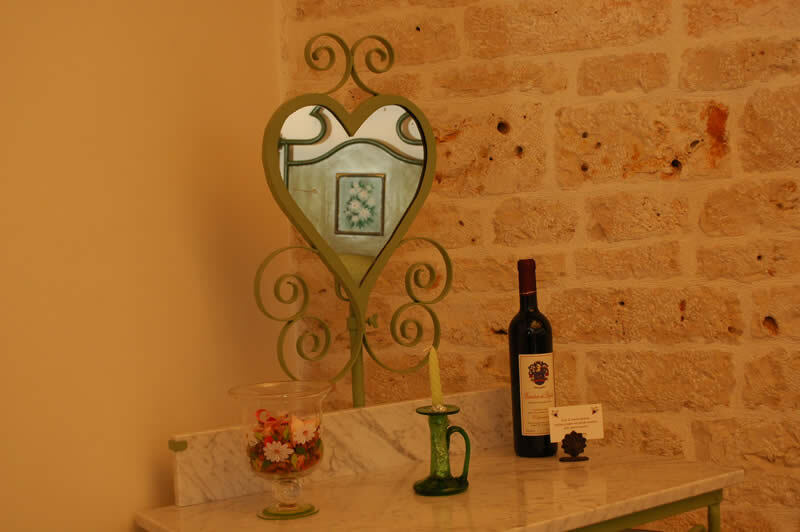 Tenuta Colavecchio provides the ideal base for those seeking peace among the scents and colours of the Apulian countryside, by tasting the local produce (cherries, grapes, figs, almonds ...), walking in the garden or practising bird watching. 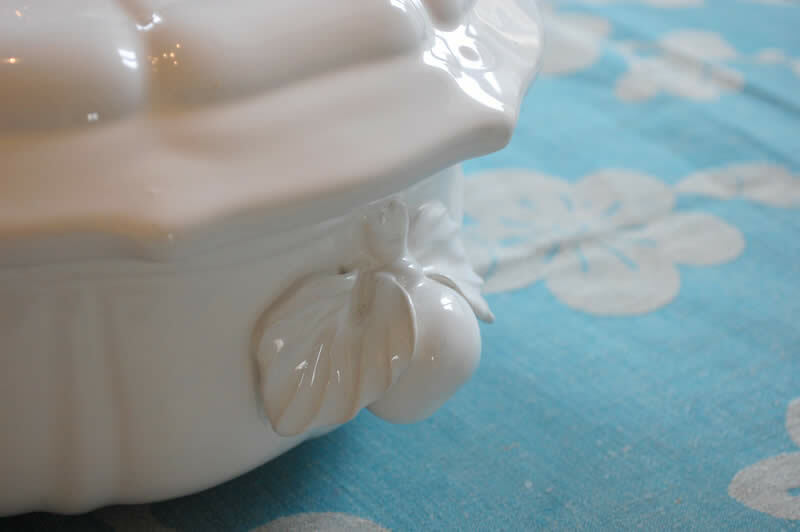 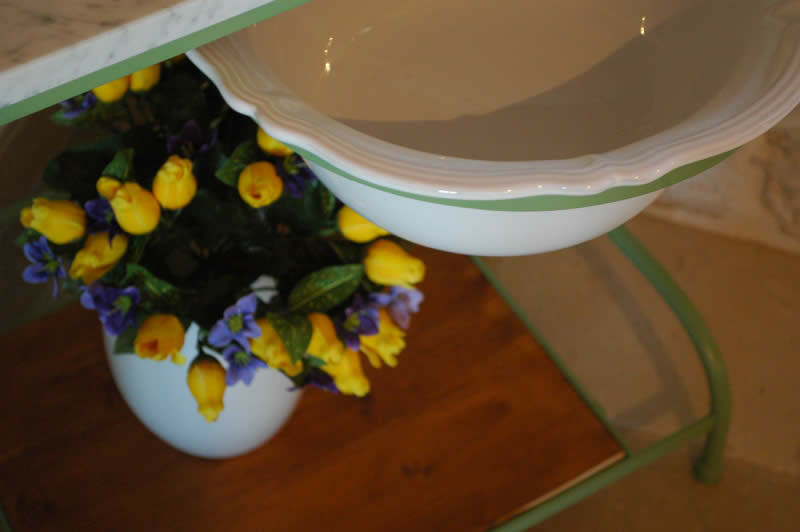 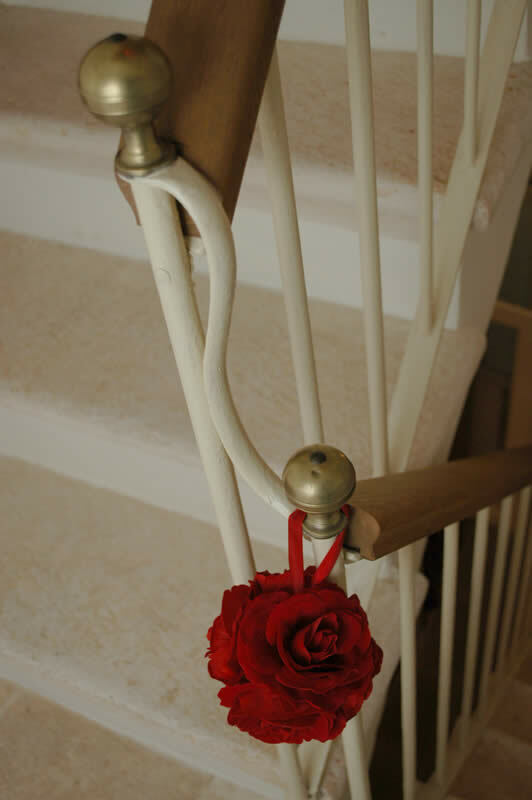 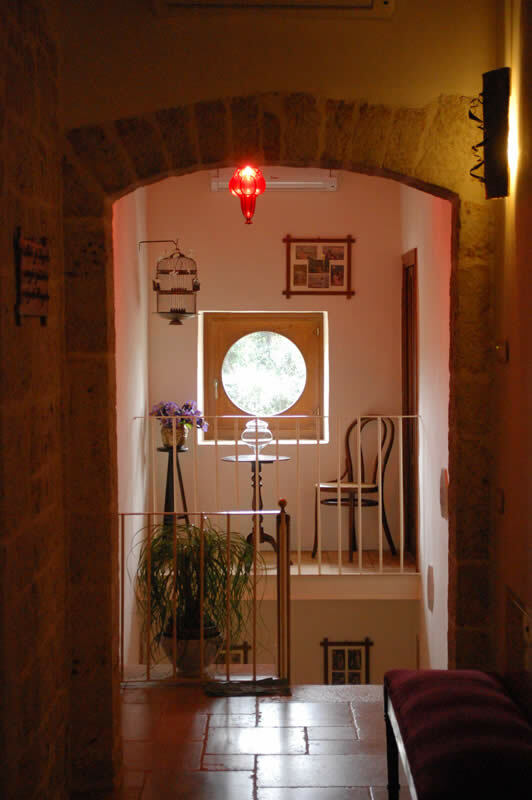 The B&B has 5 attic rooms on the first floor, accessed by an ancient stone staircase. 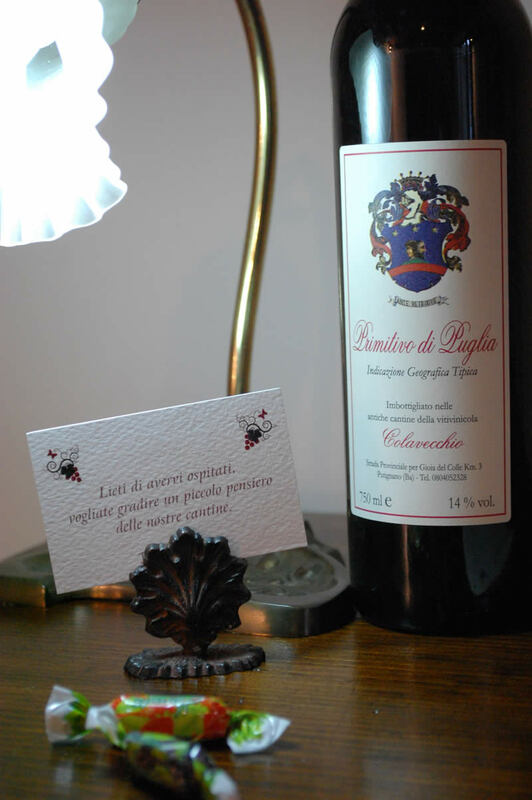 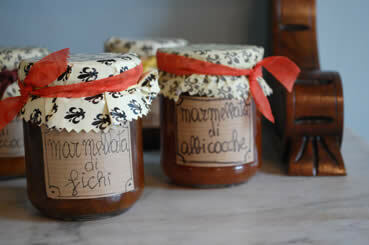 They are called with the names of five wines: Malvasia, Negroamaro, Primitivo, Aleatico, Lambrusco. 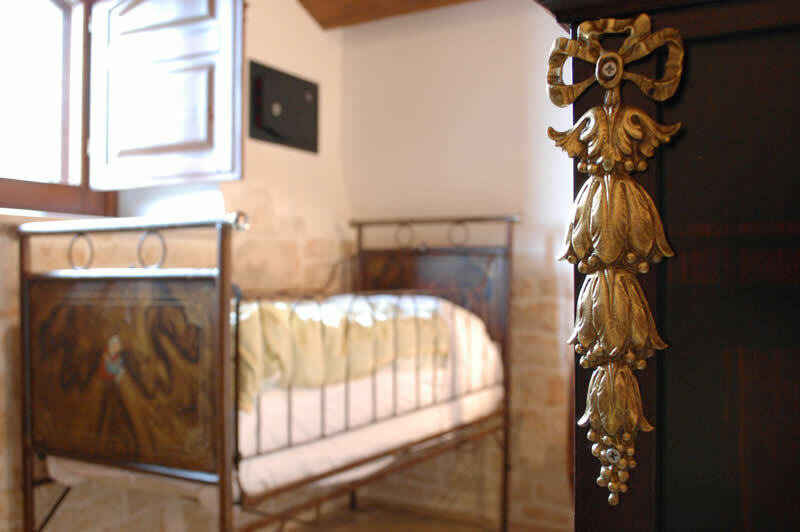 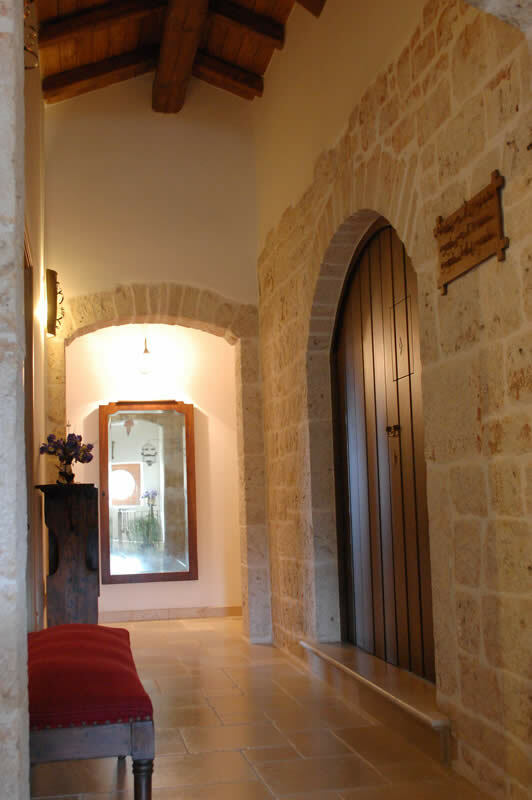 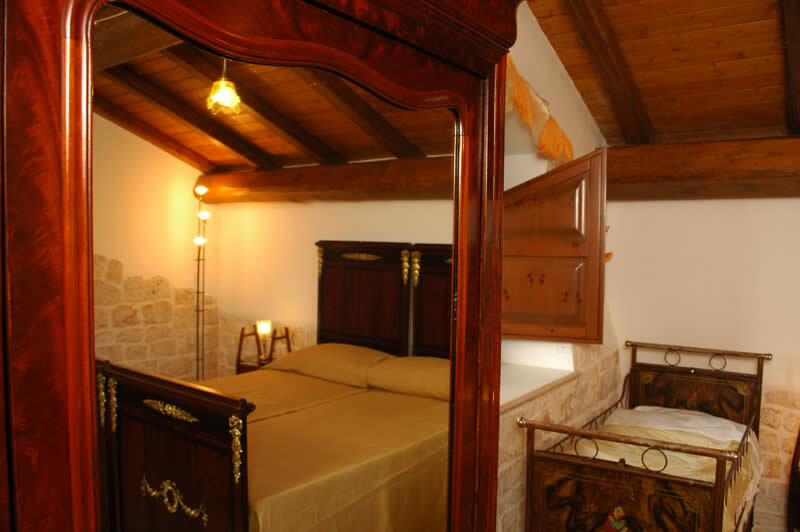 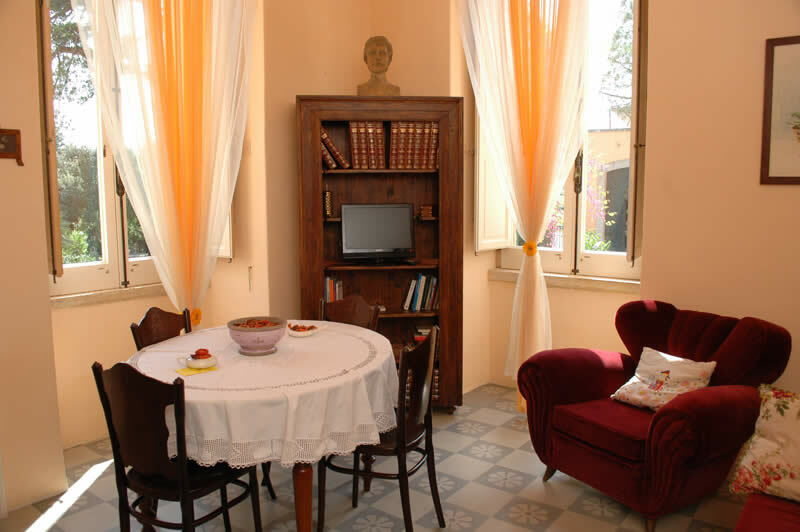 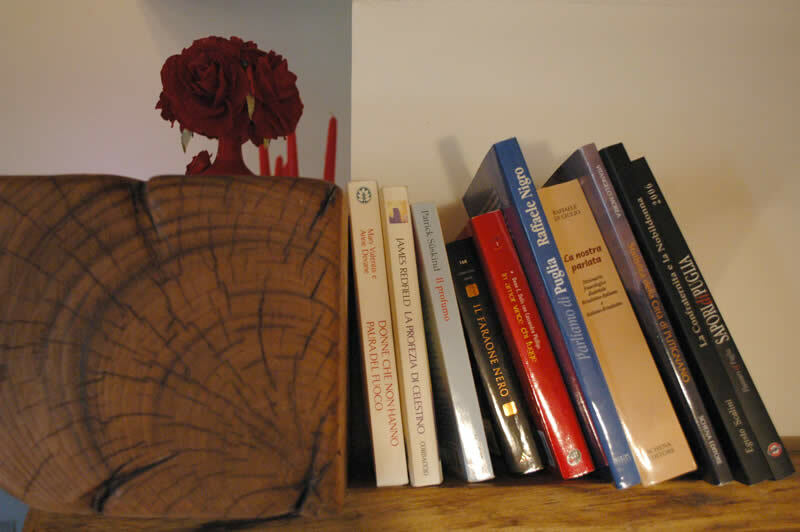 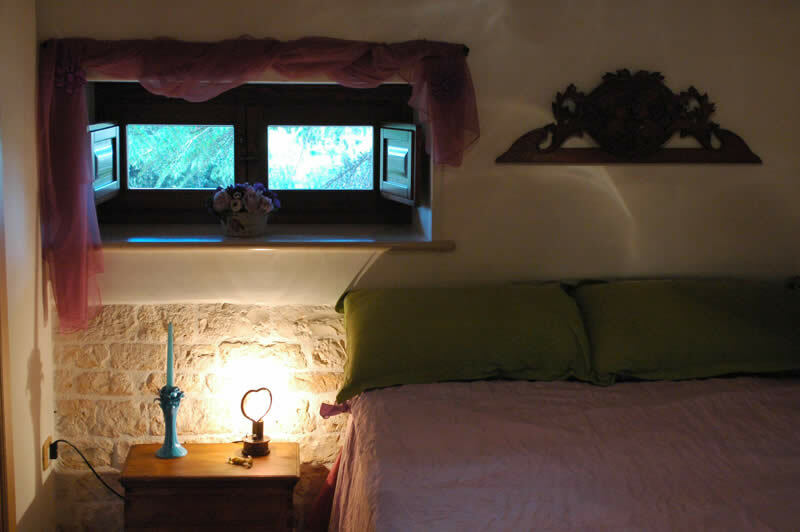 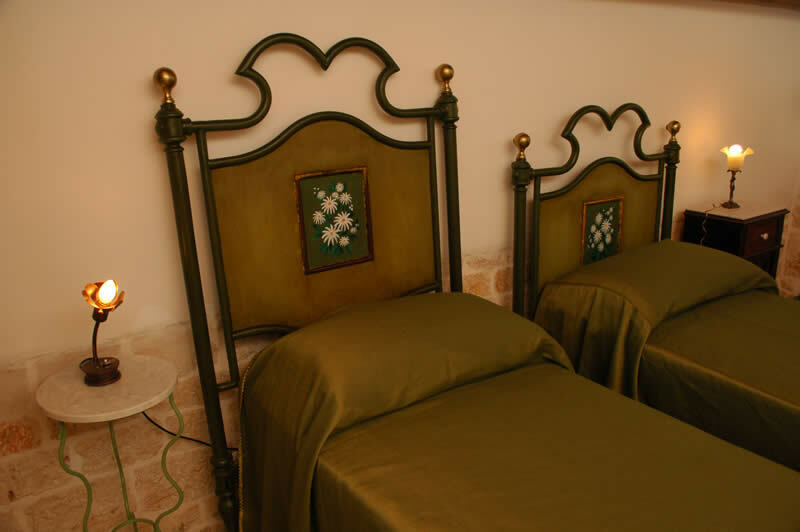 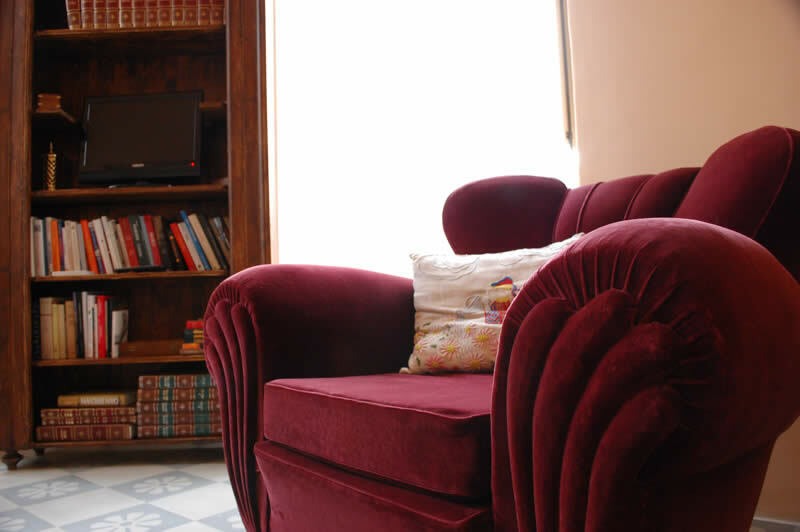 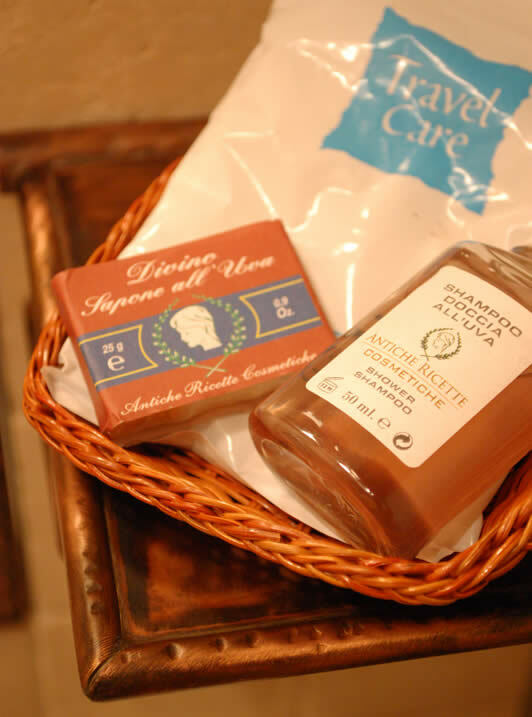 Each room is furnished with antiques and they all have private bathroom, safe, hairdryer, toiletries, mosquito nets and a bottle of wine from the Colavecchio cellar. 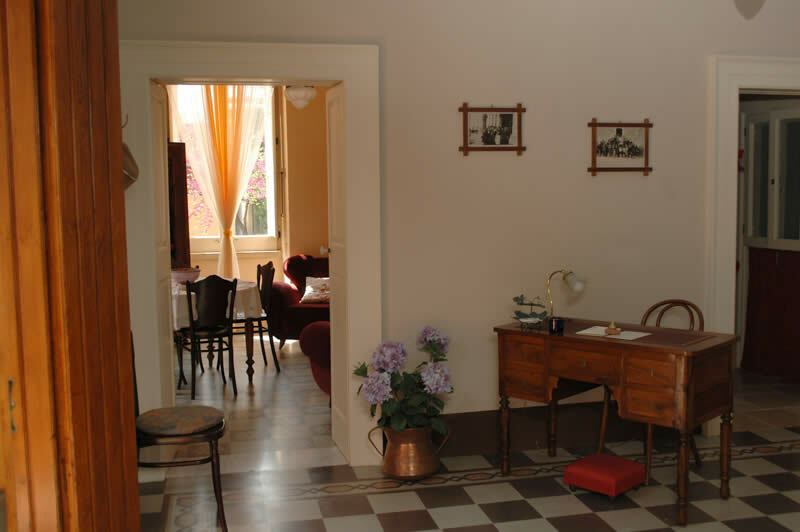 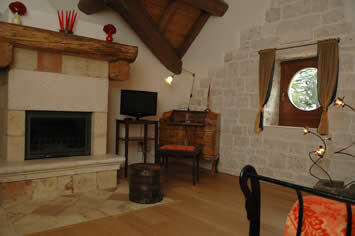 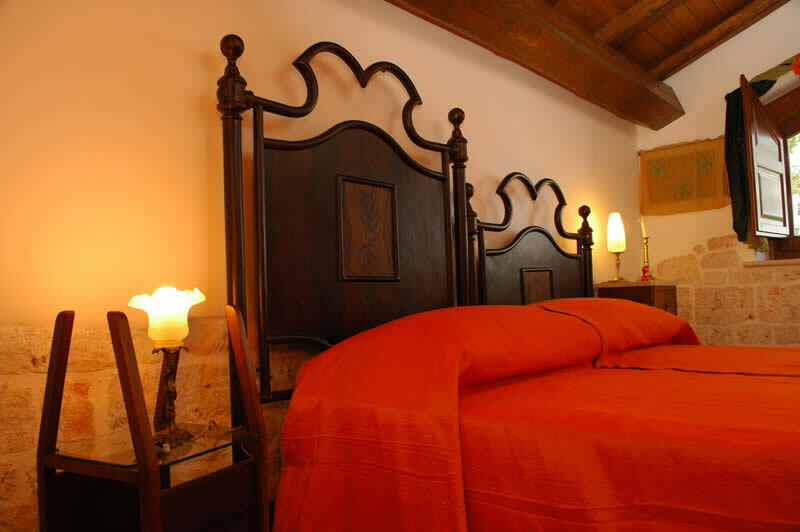 One of the double rooms (Negroamaro) can be arranged as a suite with the adjoining living room with fireplace.